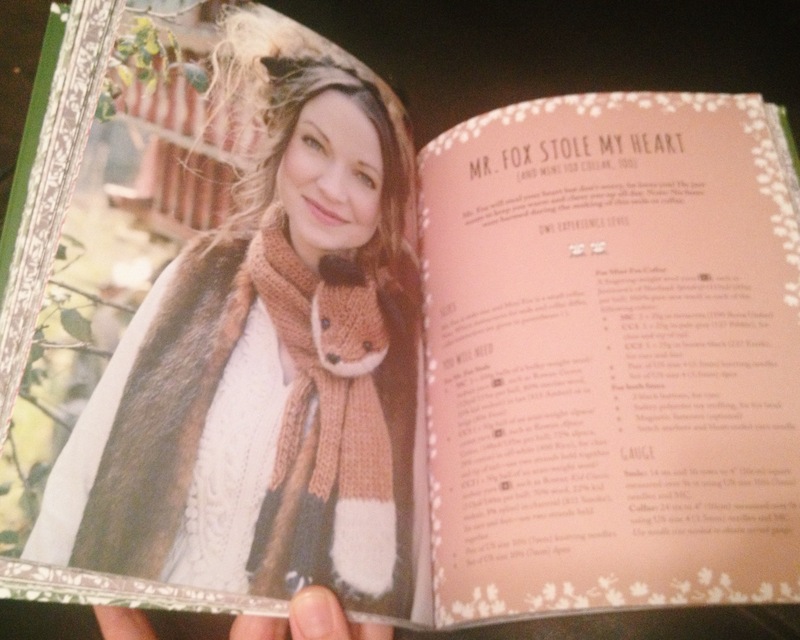 A little bit of fun back story before I talk about the book: I met Stephanie Dosen of Tiny Owl Knits about two years ago, when I was in the UK for one of Joey’s shows. Stephanie toured with Midlake on one of their previous albums and came to visit everyone in the artist area before the show. A mutual friend of ours told me that Stephanie was a knitter too and so we exchanged Ravelry names and promised to friend each other later on. We didn’t really talk much about knitting, but she did mention that she had put out a pattern for a quilt made with little knitted honeycombs and that lots of people had started knitting it and she was so surprised and delighted that other people were loving it too. I hadn’t heard of it yet but made a mental note to check it out next time I was online. I was traveling and didn’t really have internet access for the next few days, so I didn’t get to it right away but once I checked out her Rav profile I was kicking myself for not talking her ear off about knitting! She has SO MANY ADORABLE PATTERNS and I was instantly in love with all of them. In fact, I cast on for a Fairy Castle as soon as I got home from my trip and also started a Beekeeper’s Quilt not too long after that. So as soon as I found out her book was available for pre-order, I snagged a copy and HOORAY, it arrived last night! 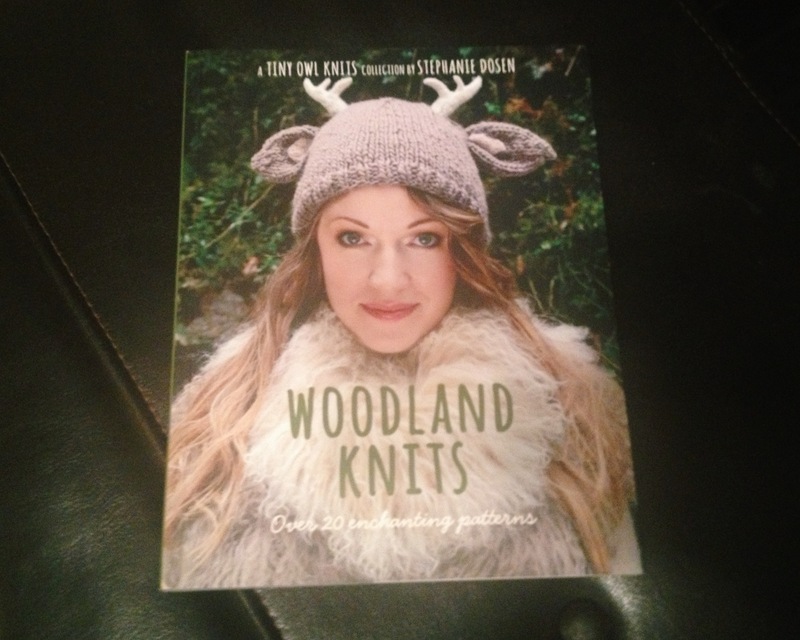 My first impression of Woodland Knits was that I love the size of it- it’s a little smaller than I was imagining from the photos online, but it’s a not-too-big- not-too-small size that I think will easily travel in your knitting bag. 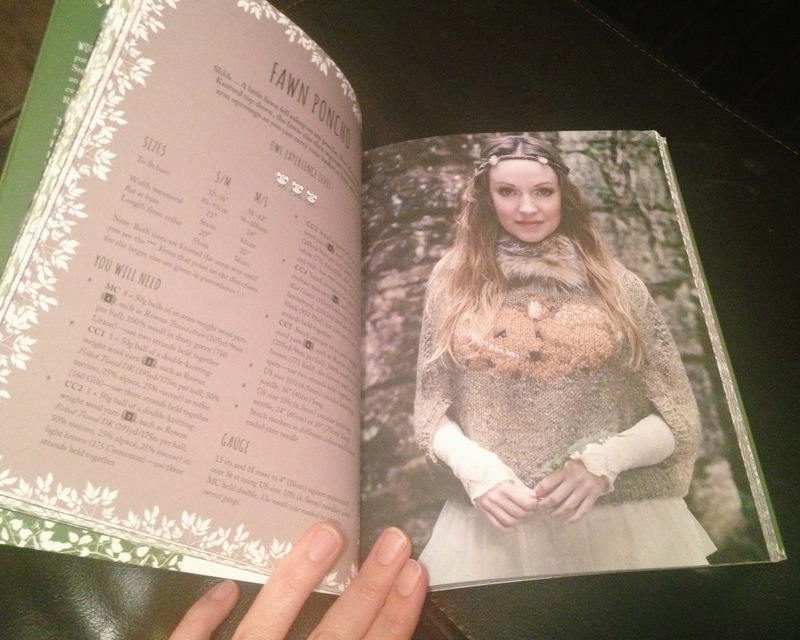 There are over 20 patterns in the book and it’s a good mix of classic Tiny Owl Knits patterns and lots of new goodies as well. 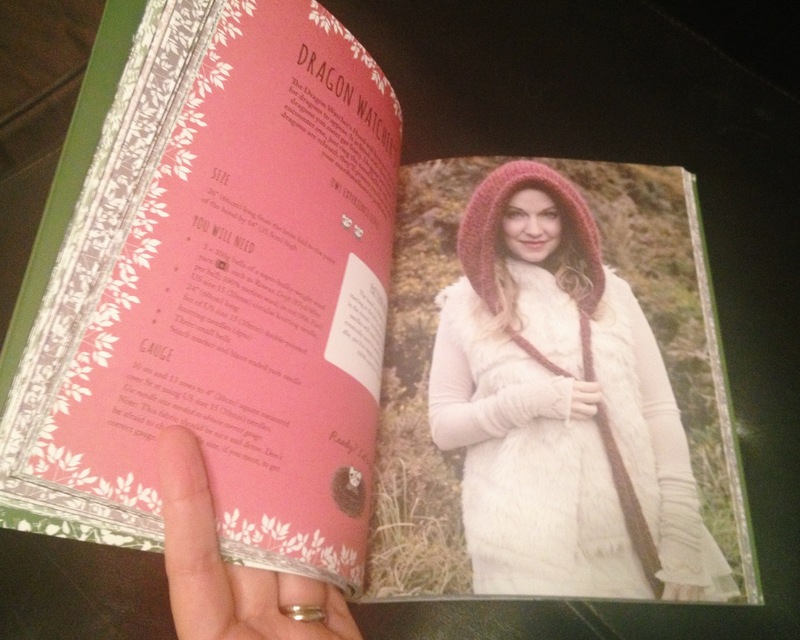 My top three favorites are Mr Fox Stole My Heart, the Dragon Watcher’s Hood and Fawn Poncho. I also really love how Stephanie has included helpful tips for felting and shaping freshly felted pieces, and words of wisdom for the colorwork patterns. The Tiny Owl even peeps in and offers a few words of owly wisdom for each pattern too. What a lovely review. The book sounds really nice. I just love your hexipuffs! You are so talented, Kim!! I love her designs. She’s made 2 pair of fingerless gloves that I just adore: one with dainty butterflies in the palms, and one with a robin and a nest of eggs.